tears of glass the eye shall see." in the flames you must look behind." where yesterday always follows tommorrow." lie two right for eternit, but just one left to die"
Horus the sun reveals me." "To find the secrets of the past look beyond this world through glass." 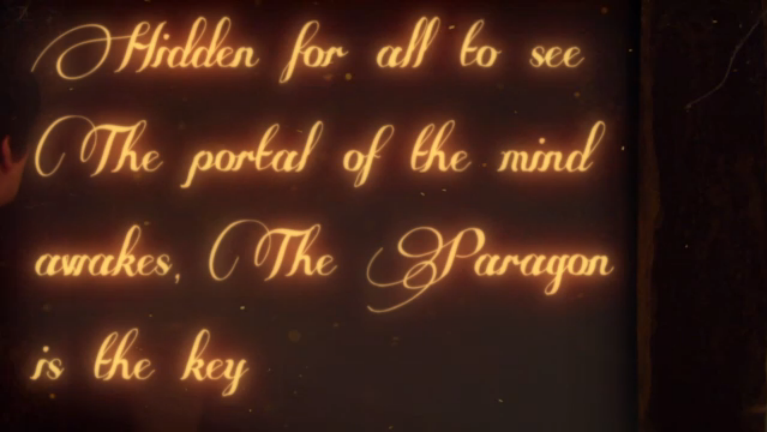 "To Find the secrets of the past, look beyond this world through glass." 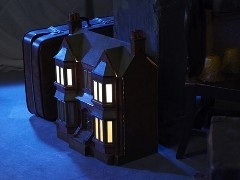 This dollhouse was in season 2 and gave Sibuna clues. It belonged to Sarah when she was a little girl. In the bottom of the dollhouse, under the door was a map of the tunnels in the basement. It was eventually smashed after Alfie drove a tractor into a buidling to save Trudy and other members of Sibuna. "MOO BAH WOOF QUACK MEOW" - Amber's way of remembering a clue from the dollhouse for a deadly game of Egyptian hopscotch. These amulets were found in Robert Frobesher's study behind a picture hanging on the wall. They prevented Sibuna from becoming blind in the tunnels. One of them opened a seceret door in the tunnels that lead to the library. 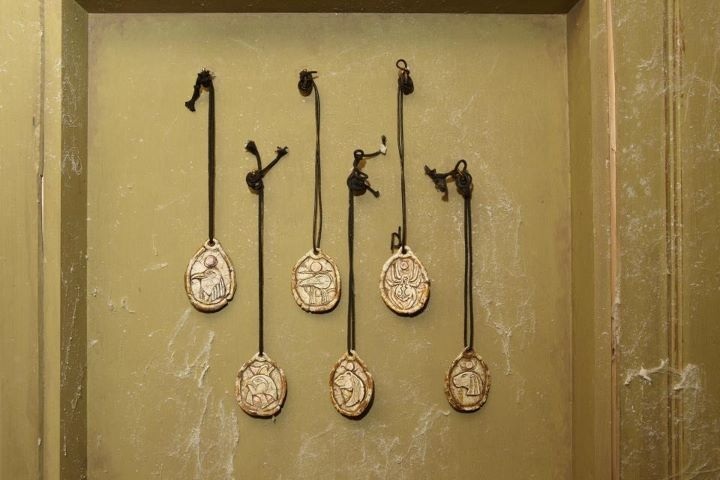 These amulets were passed around all over the place from Sibuna to Victor to Vera to Poppy to Jerome and to Mr.Sweet. Each of the symbols on the amulets ment a different tunnel room theme and an Egyptian god or goddess. This clue came from the fake mask in the tunnels. The clue lead to the real mask of Anubis, hidden for all to see (in the library).